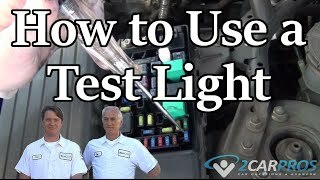 My turn signals will not work, my rear wiper do not work, my outside temperature is blank line, my front wipers will not work on intermittent, and my headlight indicator does not display but headlights do work. Turn signals and air conditioning stopped working today. Works in park but not in drive. What could this be? That is a good one. Check for damaged wires, grounds that may lose contact when the engine moves when in gear. I am trying to locate the fuse for my van. I tried to look for the number in the owner's manual on page 384. May be it is listed with a name other than 'Turn Signal'. Can some one help me find it? The turn signal/hazard relay fuse is # 16 in under hood fuse box. Other than that it does not have designated fuses ans the turn signals are incorporated into the Body control/Multiplex system. My lights turn on but my signals do not work neither do my hazard lights I replaced the fuse 3 times but it keeps blowing. I dont know what else to do or what it might be. If it blows the fuse, there is a direct short. This can be a nightmare to find. Tell me, does the fuse blow as soon as you put it in or do you have to turn the signals on for it to blow? It blows as soon as I put it in. Do I understand correctly? It doesn't blow when first installed but rather, when the hazards are turned on? If that is correct, what happens when you turn the signals on? Hello - I was having the same issue, and wanted to post a response to see if you had any further insight into this. I have a 2003 Honda Odyssey. I was driving last week when the blinkers stopped working simultaneously in both directions. I also started smelling something burning. So I pulled over and turned the flashers on. They worked. I popped the hood. Didn't see any smoke. Checked under the car. Nothing was leaking. The smell dissipated. The hazards stopped working. I was only two blocks to my destination so I drove the rest of the way and the smell came back pretty strongly. Context: A year ago someone did a hack job replacing my battery and the positive battery cable was rigged up strangely. But it worked. I ended up needing an alternator, which was replaced. At the end of the alternator repair last year my mechanic mentioned I should bring the van back to get the battery cable fixed. I never got around to it. When I had my van towed because of the smell/hazards issue, my current mechanic replaced the battery cable and the smell is gone, but he inadvertently overlooked the hazards. Thinking it could be a quick fix I replaced the fuse, but it didn't work. I noticed the fuse broke, so I put another fuse in and turned the ignition to start the battery (just before the van turns on), then turned it off and checked the fuse. It wasn't broken. I then repeated that step and started the left turn signal. It clicked twice then stopped. The fuse was broken again. Any thoughts as to what it could be? Thank you! This sounds like the hazard/flasher relay is shorted out but to be sure lets check the bulbs at each corner. Check out this guide make sure nothing is burnt up or melted. Here is the wiring diagrams for the lighting system so you can see how the system works and the flasher/relay location check it also for the burnt smell. My turn signals and hazard lights went out, I checked the two fuses and replaced the Hazard/Turn Signal relay (i read this was the usual suspect). However, it did not fix my problem. What else could it be? Could be a faulty hazard switch. All Of Our Turn Signal And Hazard Lights Suddenly Stopped Working. 2003 Honda Odyssey Brake Lamp Light On.